We’re starting a new series on our favorite custom bike platforms. 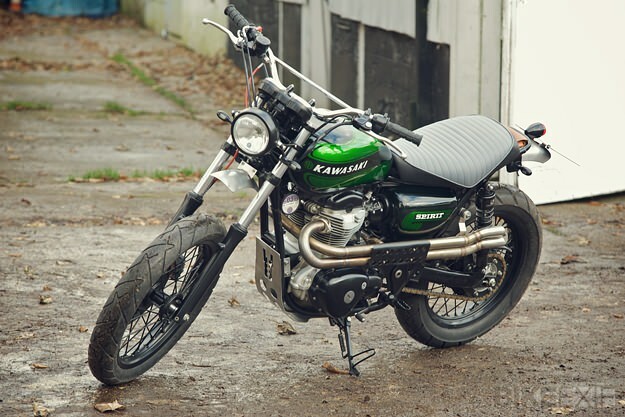 To kick it off we’ve chosen Kawasaki’s W650, a popular choice among builders since it launched in 1999. Inspired by Kawasaki’s own W1, W2 and W3 models of the 60s and 70s, the W650 could easily be mistaken for a British motorcycle of the same era. 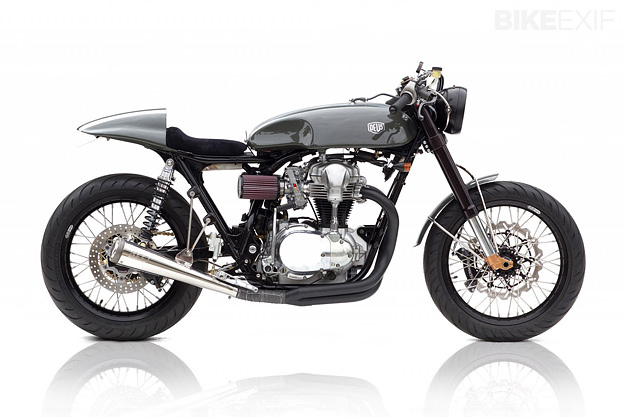 At its heart is an air-cooled, 676cc parallel twin, with a distinctive bevel gear driven overhead cam shaft. It might not be the punchiest motor around, but it delivers ample usable power and is a blast to ride. I know this, because I am fortunate enough to own one. Other, considerably more famous, W650 owners include Billy Joel and Charley Boorman. 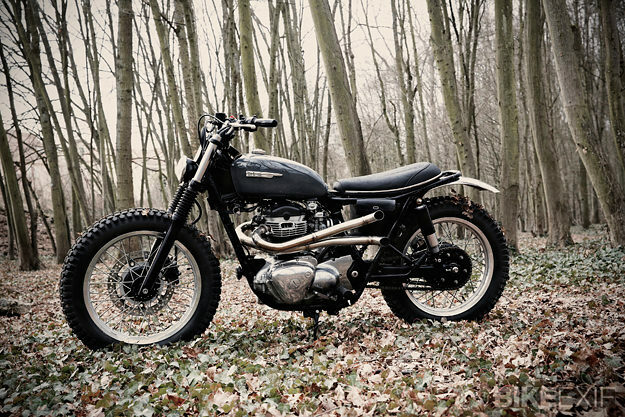 Due to ever-evolving emissions regulations the W650 was discontinued in 2008. Thankfully Kawasaki launched its successor—the W800—in 2011, complete with fuel injection, a capacity increase to 773cc and a jaw-dropping dark green paint job. 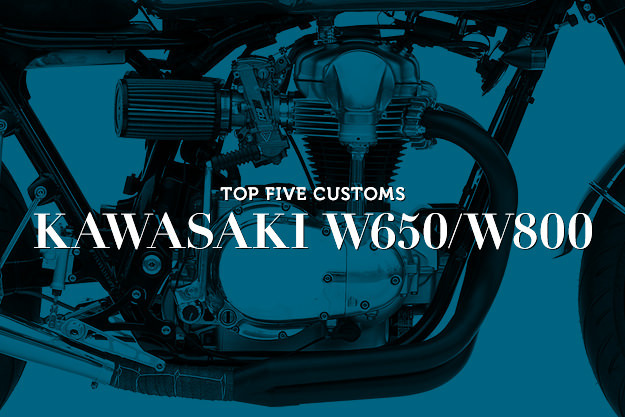 So here’s a selection of our favourite W650 and W800 custom builds for your inspiration. It was tough narrowing it down to just five, so if you know of any other bikes that you think deserve to be on this list, let us know in the comments. SPIRIT OF THE SEVENTIES W800 ‘SPIRIT’ It’s always inspiring to see a major manufacturer collaborate with a respected custom shop. In this case it was Kawasaki UK, who commissioned this W800 build from Spirit of the Seventies. 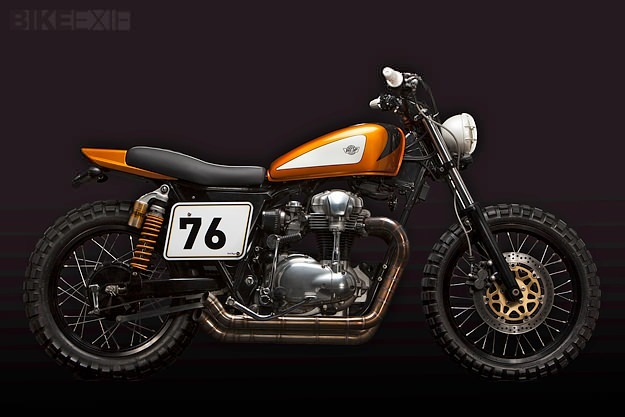 Spirit presented Kawasaki UK with 3 different options and then, once they’d settled on the street scrambler concept, created several paint schemes for Kawasaki’s Facebook audience to vote on. The audience chose well—the final paint scheme is brimming with Kawasaki heritage. DEUS EX MACHINA USA W650 ‘MOTO GRIGIO’ Deus have built so many beautiful W650 customs that it’s hard to pick a favourite. 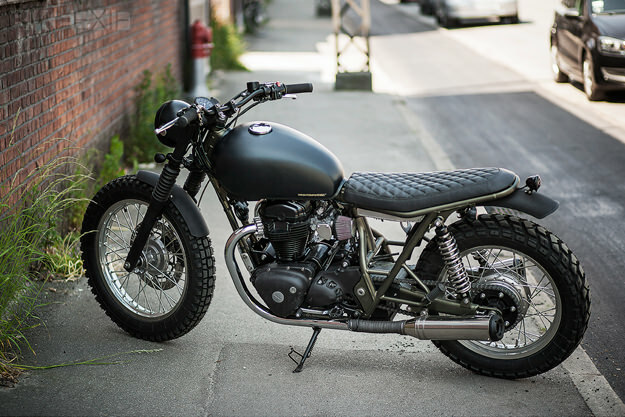 I chose this one partly because the rest of this selection is filled with scramblers and street trackers, but mostly because it’s such a radical build. That’s our pick. what’s yours?